My expectations were high. I had read the book and I had seen the trailer, and it all looked promising. But it didn’t end up being what I had hoped for. The casting. 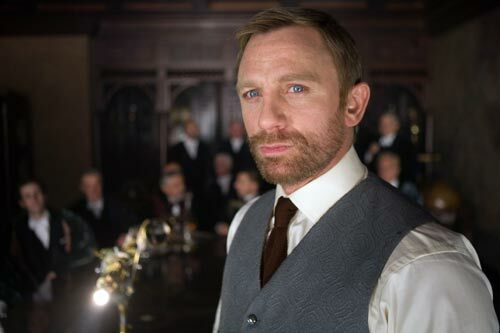 Nicole Kidman (Mrs. Coulter), Daniel Craig (Lord Asriel), Sam Elliot (Lee Scoresby), Dakota Blue Richards (Lyla) are all brilliant for their parts, and their acting is excellent. The shape shifting deamons are amazing. Mrs. Coulters golden monkey is so creepy. The ice bears and most scenes in the north (shot in Iceland partly) are awesome. Ian McKellen as the voice of Iorek Byrnison is such a marvellous choice. No matter how hard I tried to love the story, despite the fantastic scenes and shots and effects, the story wasn’t engaging me at all. I didn’t feel anything, I wasn’t involved in the characters – at all. And that meant that I walked out of the cinema – quite disappointed. I just had a talk about this with one of my colleagues, who is a huge fan of the book, and he agrees with me. Ingrid, I was so disappointed to read that review! My hopes were high, and I’ll see the film anyway, but wow. What a bummer. Must say I haven’t read the book and it doesn’t appeal (I’m just not a fantasy person) well apart from Dan and if he isn’t in it much………. I had been hoping for four stars and some more Daniel Craig. How can he only be in it for a few minutes? Very disappointing! Nevertheless, I’ll go it when I need a break from my paper. Maybe sometime next time. It’s sad when a film lacks everything that was special about the book. Which is spot on I am sorry to say.